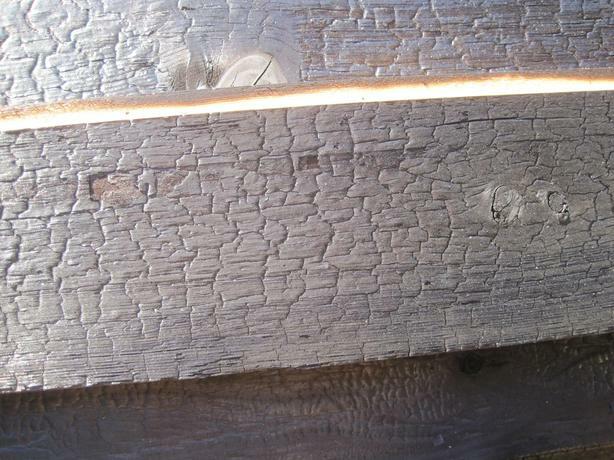 Shou-sugi-ban seconds. Of Interest for the Tiny house folks, Budget DIY, Trailer shirting and unique shed covering. Available at our Cobble Hill shop, small lot to clear second grade 1x6 shiplap joint pine shou-sugi- ban ... charred wood siding/paneling. About 150 square feet. 8' and 12' lengths. Seconds graded mostly because of surface cracking, some other issues. Selling at half price $1.59 per lineal foot. Check out new Peerless website for Shou-sugi products. Only at our Cobble Hill shop. 1357 Ball Rd... ignore the map. Note Peerless does make Shou-sugi-ban exterior paneling and interior siding and flooring versions. We are the ONLY industrial scale manufacturer in Canada.